Oh snap! I’ve been churning out more Work It! Podcasts as of late, and this week, I have a new one locked and loaded for you to listen to. 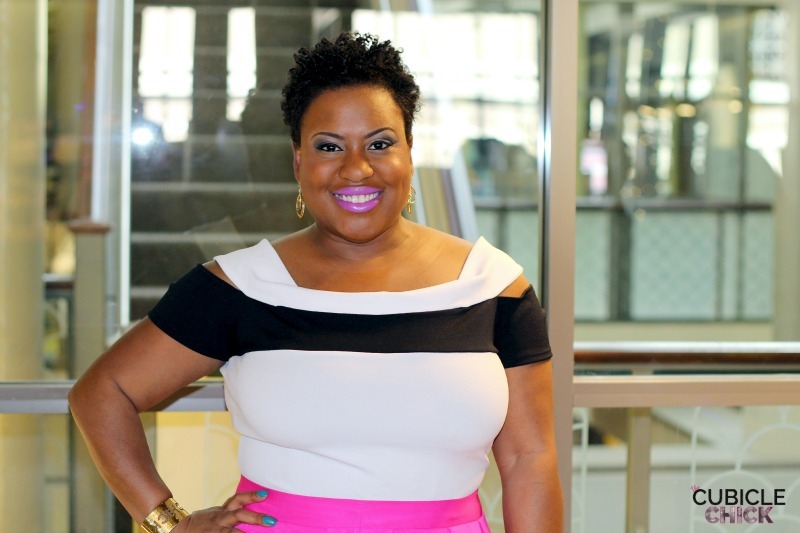 Episode 24 features an in-studio interview with Relationship Coach and Energy Leadership Expert Shaquan Grove. 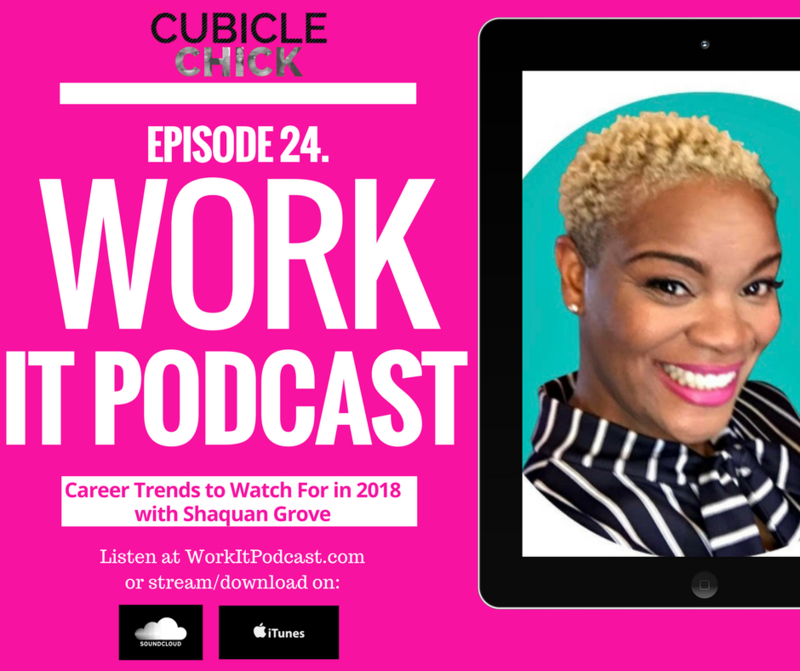 I’ve had her on my show before, but this time, she is showcasing her job expertise by sharing which career trends we should watch for in 2018. We are chopping it up about everything job related including how Baby Boomers and Gen X’ers can compete with Millennials in the workforce, what corporations need to do in order to be more diverse, the biggest mistakes job seekers make, and more. In the past, I’ve shared with you things that I feel have made me a successful blogger. By successful, I mean someone who has been able to make a full-time living blogging exclusively. Establishing my blog when I did, being a voice in an uncluttered working parent space, and working positively consistent have been a few ingredients in my secret sauce. But, I have made many goofs that impeded my progress. I am now sharing these mistakes that I made with you in my latest WORK IT! Podcast. 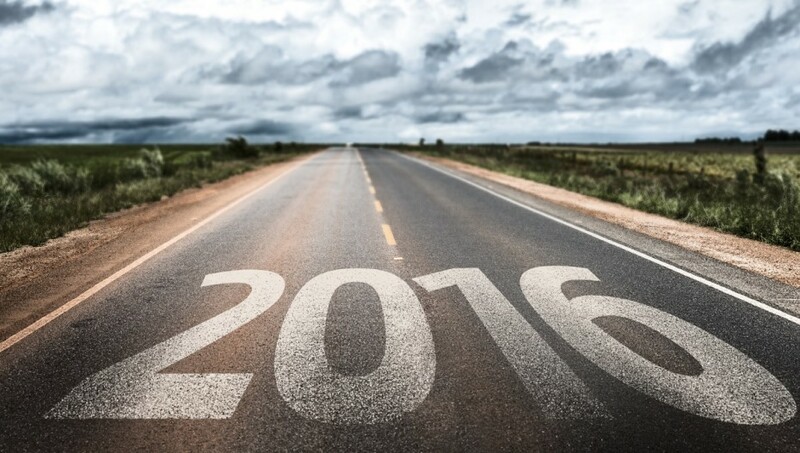 The first year or so when I began blogging, I had no idea what I was doing. Luckily for me, I began to take it seriously and began studying the craft while getting my strategy together. You can listen HERE and hopefully learn from my guffaws. Are you ready to get into true formation with your mate? 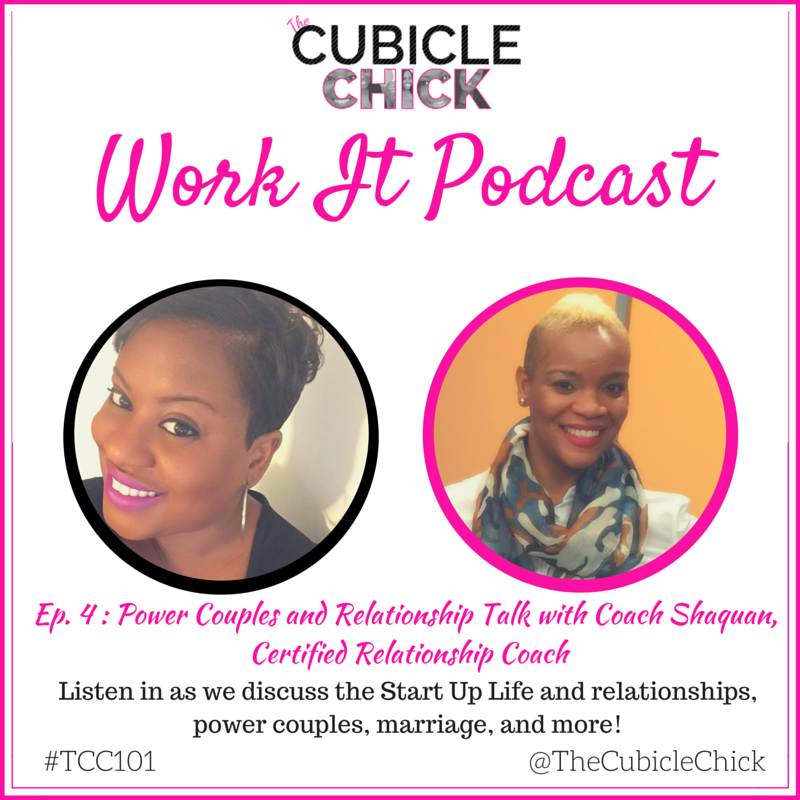 In my latest WORK IT Podcast installment, me and my guest, Certified Relationship Coach Shaquan Grove discuss relationships, marriage, and Power Coupledom. The 30 minute podcast is full of gems to help you get clear about your wants and needs when it comes to that special someone in your life. And if you are needing help making it last forever, Shaquan is here to help you overcome obstacles and challenges in your union. I also give you an overview of a book that I am reading all about relationships called Startup Life: Surviving and Thriving in a Relationship with an Entrepreneur. Listen in and learn how this book can help you navigate the murky waters of being a small business owner and having a healthy relationship and thriving family.